Sin in the world: The church has no business trying to resolve the sin of the world through any other method other than the Gospel of Jesus Christ. Many are trying to resolve the issue of sin of the world through politics, through doing good campaigns, through education, through radio, through television, etc. I have nothing against these things, but all of those things without Christ are a waste of time. The Bible tells us that we can gain the whole world, but if we lose our soul in the process, we gain nothing (Matthew 16:26). The world is trying to resolve problems without Christ and the salvation that He offers through the Gospel. If you are not walking in the spirit of gentleness and humility…perhaps it is best that you focus on prayer for the situation and for yourself. Your brother or sister’s sin obviously exposed something in you also. When sin is confronted in the flesh is going to cause more damage than good. b. The group that ignores sin: The problem that I see in churches where sin is ignored is that there is no love. There is indeed very little carrying for one another. The first qualification in dealing with sin in our churches is that we must be spiritual people; we must confront sin in the spirit of gentleness and humility as you consider your own humanity according to Galatians 6:1. This is the Biblical way to approach the main problem in our local churches. 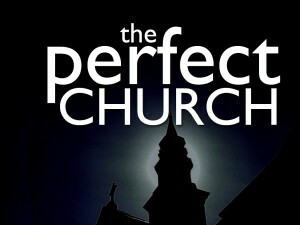 Previous Previous post: What Is The Perfect Church for You?